Google is under investigation in Australia after it was claimed that the internet giant has been collecting user data from millions of Android smartphones without consent. 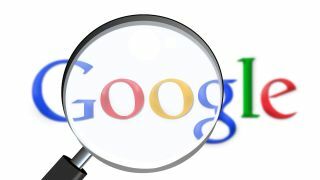 The allegations were made by software company Oracle, who produced evidence that Google’s parent company, Alphabet, has been illegally receiving detailed information on search histories and user locations of Australian Android owners. According to the report submitted to the Australian Competition and Consumer Commission (ACCC), the data collected each month amounts to about a gigabyte per device. Oracle’s report claims that the transfer of information uses up part of a user’s data quota each month, alleging that Aussies are unwittingly paying their telcos to have their details sent to Google. With over 10 million Android users in Australia, it raises serious privacy concerns so soon after the Facebook-Cambridge Analytica scandal, and has brought the country’s Privacy Commissioner into the investigation as well. "Some mobile plans may only include a few gigabytes of data, so if Google is harvesting a gigabyte of data, it is a very real cost to consumers," said David Vaile, chairman of the Australian Privacy Foundation. A spokeswoman for the ACCC has said that the consumer watchdog "met with Oracle and is considering information it has provided about Google services". "We are exploring how much consumers know about the use of location data and are working closely with the Privacy Commissioner," she added. According to Vaile, Google began collecting the data as part of its Street View project, but the data is now kept up-to-date by regular transfer of user information. Google, however, insists that the data is collected only after a user grants permission. In the meantime, Australian telcos have asked Google for more information regarding the allegations. A spokesperson for Telstra, Australia's largest telco, added, "We are aware of the reports in the media and we have asked Google to advise whether they are accurate."